A major new study shows treating high blood pressure more aggressively than usual cuts the risk of heart disease and death in people over age 50. The findings are from a study sponsored by the National Institutes of Health (NIH) called the Systolic Blood Pressure Intervention Trial (SPRINT). How tightly to control hypertension is controversial, especially as people get older. But the SPRINT study's preliminary results showed strong enough benefits that NIH stopped the research about a year early in order to quickly communicate the findings. "More intensive management of high blood pressure in people 50 years and older can save lives and reduce cardiovascular complications such as heart attacks," said Dr. Gary Gibbons, director of the NIH's National Heart, Lung and Blood Institute, which sponsored the study. An estimated 1 in 3 adults in the United States has high blood pressure, raising the risk of heart attacks, stroke, kidney failure and other health problems. Normal blood pressure is defined as a measurement below 120 over 80. 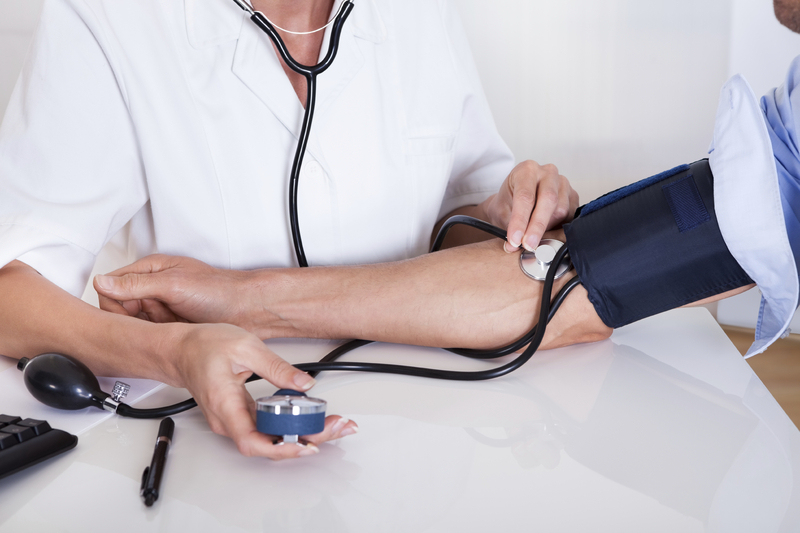 People are diagnosed with high blood pressure once their readings reach or pass a measurement of 140 over 90. Only about half of the nation's hypertension patients have their blood pressure under control. But how low should their blood pressure be? Guidelines are mixed but generally have recommended getting that top number - called the systolic pressure - to about 140 in otherwise healthy adults, and to 130 in patients who also have kidney disease or diabetes. The new study indicates lower may be better. Starting in 2010, the SPRINT study enrolled more than 9,300 people 50 and older who were deemed at increased risk for heart or kidney disease. Half received an average of about two medications with the goal of lowering their systolic pressure below 140. The other half received an average of three medications with the goal of getting below 120. The patients who reached that lower level saw significant health benefits. "The 'under 120' group had a 25 percent lower risk of death and 30 percent lower risk of cardiac events like heart attack or stroke," said CBS News chief medical correspondent Dr. Jon LaPook. "This does look like it will probably change the way we treat high blood pressure." Hypertension patients who don't have their blood pressure that low today should discuss their care with their doctors, researchers advised. "This study provides potentially lifesaving information that will be useful to health care providers as they consider the best treatment options for some of their patients, particularly those over the age of 50," Gibbons said. But experts say it's too early to know if this one study will lead to a change in current guidelines. "We need to avoid having patients jump on it and demand that their blood pressure be normalized. That would be premature," cautioned Dr. Suzanne Oparil of the University of Alabama at Birmingham, one of the study investigators. Researchers wouldn't give precise numbers of deaths and other complications, information expected when the full study results are published by year's end. Nor did they provide information on side effects except to say that the study's safety monitors weighed that information in advising NIH that the benefits were strong enough to stop it early. Researchers will continue to track the SPRINT participants to see if kidney disease, cognitive function and dementia also were affected by more aggressive care.